Where to even begin with these two. Aly + Julian booked me all the way from Miami. 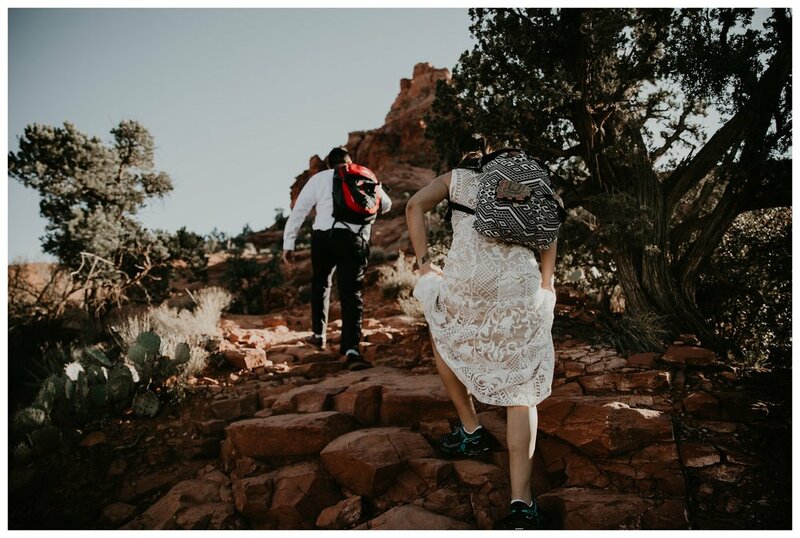 When they told me their vision for their elopement I was like HECK YES COUNT ME IN. 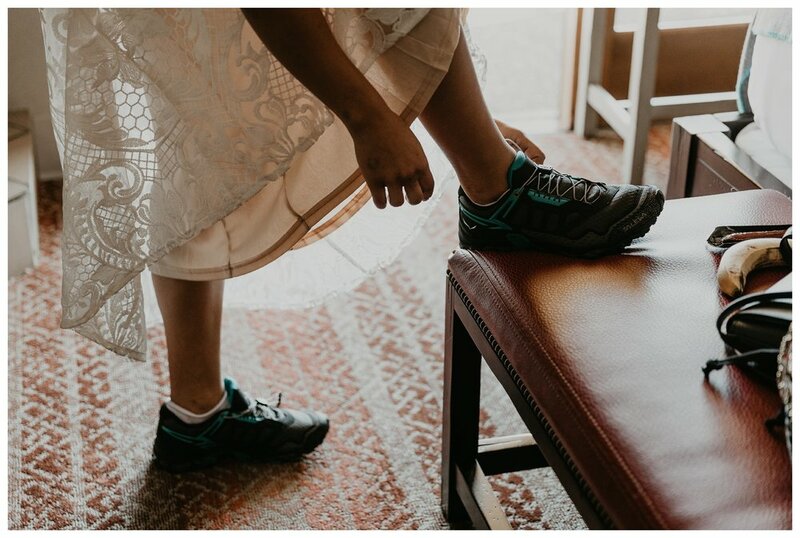 After capturing this elopement, it 100& convinced me that I will be eloping when I am ready to get married. 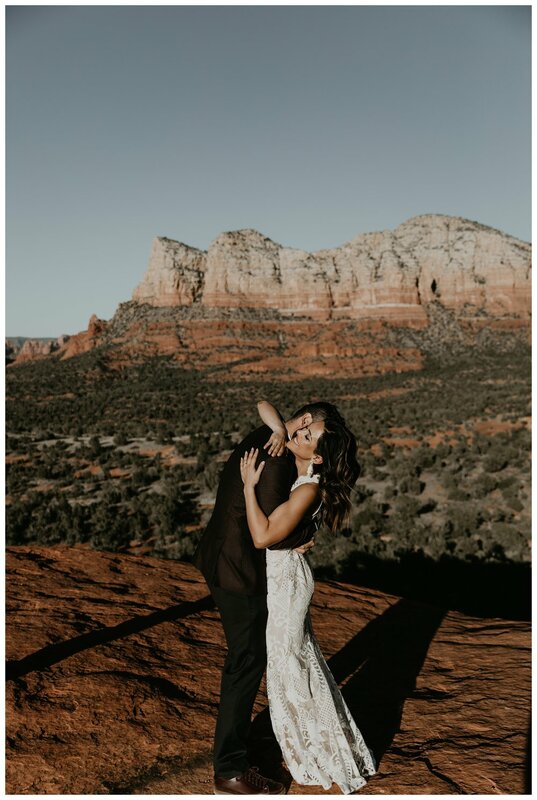 They got ready in a hotel with a bomb a** view and once they were ready, we all hopped in their mustang with the top down and headed to Bell Rock. 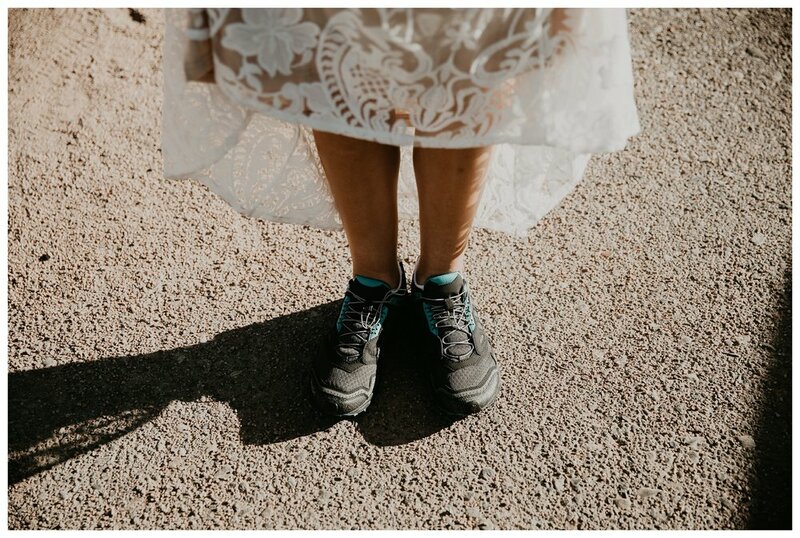 Once we got there these two hiked all the way up in their wedding gear. COOLEST HUMANS EVER. 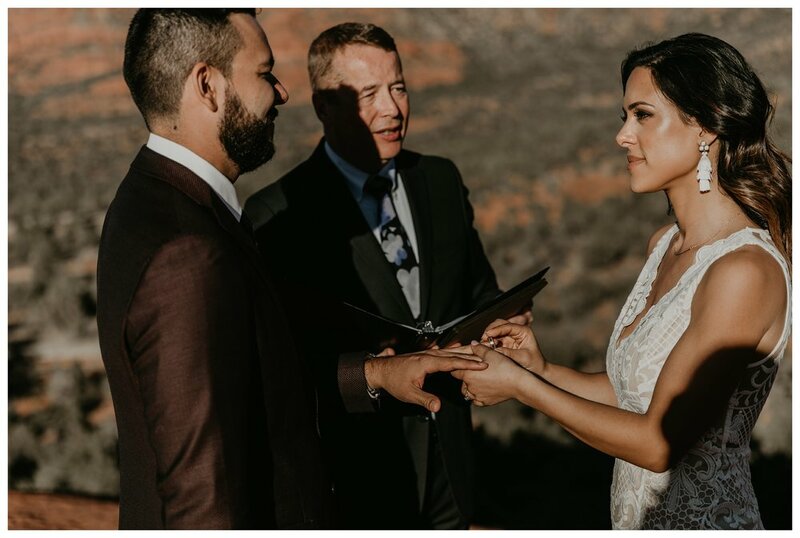 We found the perfect spot to say their “I do’s” and they were officially married!! 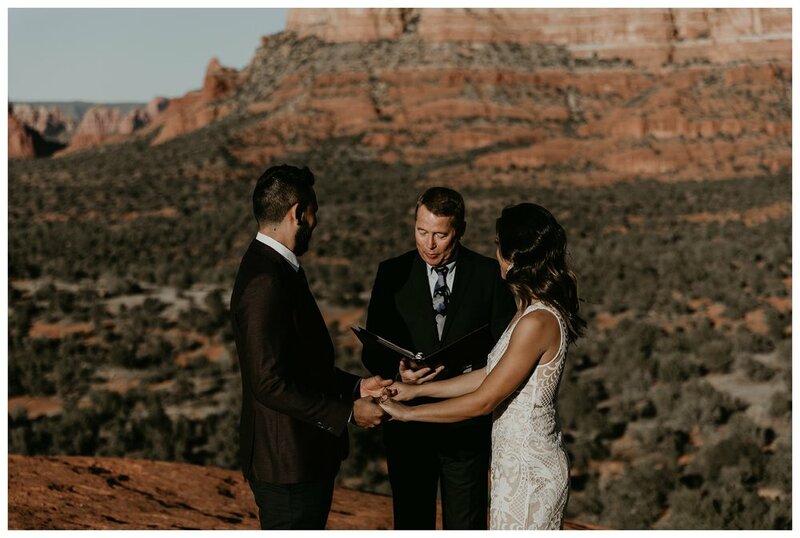 Since they needed two witnesses, I got to sign their marriage license and we also grabbed a random hiker that was watching in the distance. As soon as it was official, Julian screamed “THATS MY WIFE!! !” and did the cutest little happy dance. 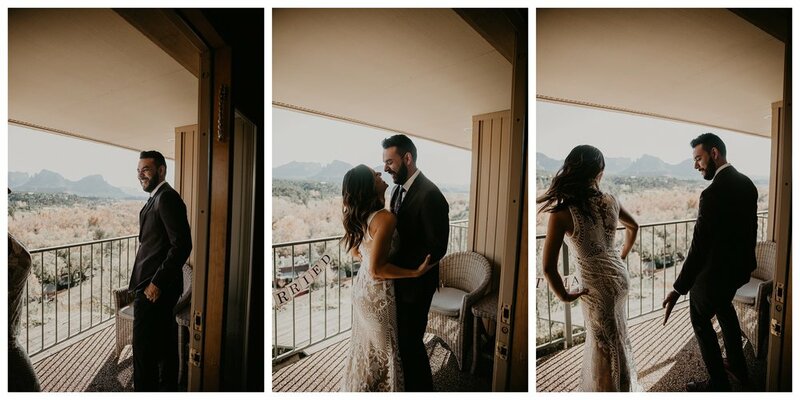 After their ceremony we explored the red rocks and jammed out to 80’s love music the entire time. Once the sun dipped down, we utilized the crap outta blue hour. We hiked back down the mountain and hopped into the back of their mustang and captured so many cute shots of them cuddled up in the back. 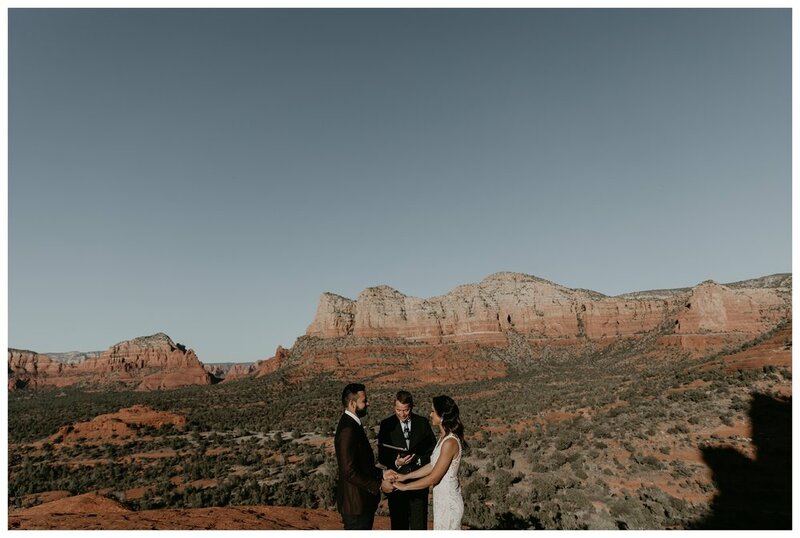 Thank you so much to Aly + Julian for bringing me along to your epic elopement. It’s one that I will never forget.